Jonathan is over at A Life Overseas today. . . I love flying. It just doesn’t get old for me. I’ve jumped the Pacific a bunch; I’ve skipped over the Atlantic a few times. I have my own license to fly small aircraft, but still, every time I fly I feel like a little kid who’s milk got spiked with espresso. Sometimes I’m afraid the other passengers are thinking, “Oh for crying out loud, this guy doesn’t get out much. He’s probably homeschooled.” They’d be partially correct, I guess. This article is my excuse to talk about aviation. 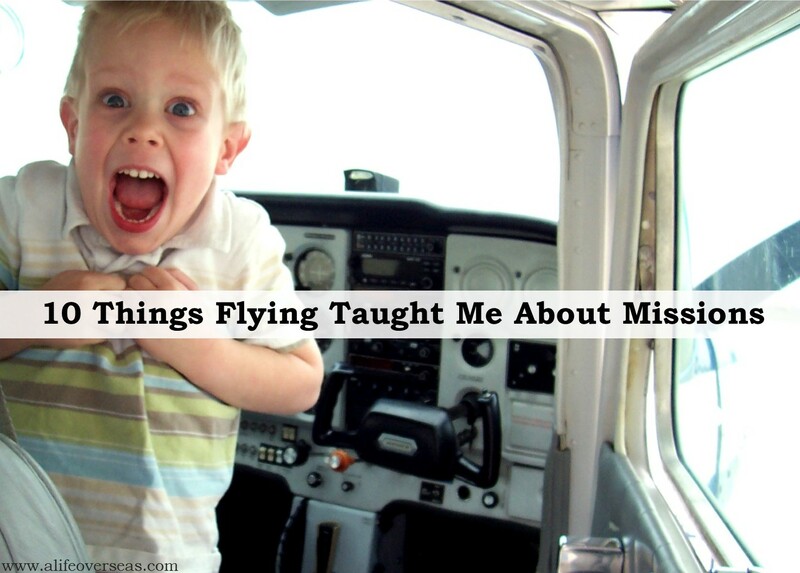 Here’s what flying has taught me about missions. Read all 10 points here.